Watching India's recent test match, I felt a sense of déjà vu. It was the 90's all over again. Then there was Sachin Tendulkar who was the lone man fighting. Today it is Virat Kohli. In the recently concluded test match, while Virat Kohli scored 200 runs, the other 10 players managed a total of 214. If he was looking for support, there wasn't any. Despite his heroics, India lost the match. The stock market these days is going the same way. Sensex is at an all-time high. But something seems amiss. There is no euphoria celebrating these historic highs. The Sensex is up but no one seems happy. I assure you, you are not the only one who's confused. A closer look at the index and you'll see the Virat Kohli effect. There are 10-12 stocks which have outperformed the rest comfortably. Since the start of the year, the top 12 performing stocks of the Sensex have given a return of 25%. The rest have declined by 12% on an average. The mid and small cap indices are down by 9% and 14% respectively since the start of the year. Do You Invest Like Burger King or Like McDonald's? Did you know McDonald's often spends a great deal of time, effort, and money in selecting the location for their restaurants. But do you know what Burger King does instead? Burger King simply sets up its outlets right across the street from every McDonald's - thus getting the benefits of its rival's research for free! This famous investor, follows the 'Burger King' approach to investing - 'borrowing' ideas from the likes of Warren Buffet, Charlie Munger and others. 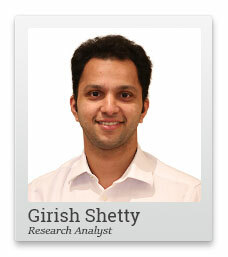 Kunal Thanvi (Research Analyst) has figured out a way to track this 'Burger King' investor, along with over 40 others. With the constant flow of money coming in, mutual funds have also taken the safer option and resorted to large caps. As a result, a part of the Index is constantly on the way up. Even among these 12 stocks, there is a heavy concentration among a few sectors. Most of these stocks belong to the Banking, IT and consumer facing sectors. Imagine if the banking sector faces a roadblock? What happens if Trump's protectionist policies affect IT companies? Where would fund managers go then in that case? It is foolhardy to expect these 12 companies to do well forever. But with the bubble slowly but surely building up, if they don't meet the market's expectations, the fall might be hard and fast. What should you do in such a situation? You might be tempted to follow the herd into these top 10-12 Sensex stocks. But this where the small retail investor loses out. Fear of Missing Out (FOMO) is too real. Valuations go for a toss. We start looking for opportunities to make up money quickly. Unfortunately, more money is lost when we try to recover lost ground. You might enter a stock at the peak and face the brunt of the market correction that follows. I wrote to you about doing nothing in the markets. Try going to someone for advice on a stock - just to see what happens. If the person says, 'Do nothing' almost every time, he might just be the right person to guide you. On the other hand, someone who is giving you the latest 'hot stock pick' every day of the week is just the guy to avoid. 'Doing nothing' is one of the important things to 'do' sometimes. Sit back and evaluate your investment process. Make a note of what you've done right and where you've gone wrong. I can tell you what we're doing. The recent correction has given us time to focus on top quality stocks without worrying about missing out. Attending Annual General Meetings (AGMs) of various companies, evaluating their business prospects and waiting for the right time for valuations to turn in our favor. We believe there will be opportunities to enter quality companies soon. And we will be ready to act on them. Equitymaster requests your view! Post a comment on "The Virat Kohli Effect in the Sensex is Throwing Up Buying Opportunities Now". Click here!